The number of cool cars that cross the auction block each year at the Barrett-Jackson collector car auction in Scottsdale, Arizona is incredible. This year’s auction has some very cool rides, like the 1993 Ford Mustang Cobra R that sold at the auction for $132,000 becoming the most expensive Fox Body Mustang ever sold. The auction also had a glut of first-generation Ford GT cars up for sale, including some that were driven a bit. One of the most historic rides at the auction this year was the 1964 Ford Mustang hardtop you see in these images. This car is an actual piece of Pony car history and is the earliest of three known pre-production hardtop Mustangs produced by Ford. This ride was entirely hand-assembled in early 1964 and wears serial number 5F07U100002. It’s clad in Caspian Blue and has a Medium Blue interior. When the hammer fell on the final bid, the car sold for $175,000, and ultimately cost the buyer $192,500 with the buyer fee included. The 1964 Ford Mustang hardtop has the meek 170 cubic inch inline-six under the hood and is backed up by a three-speed manual transmission. The owner of the car that sent it across the auction block is a nationally known Mustang historian called Bob Fria; he had owned the car for the last 20-years. 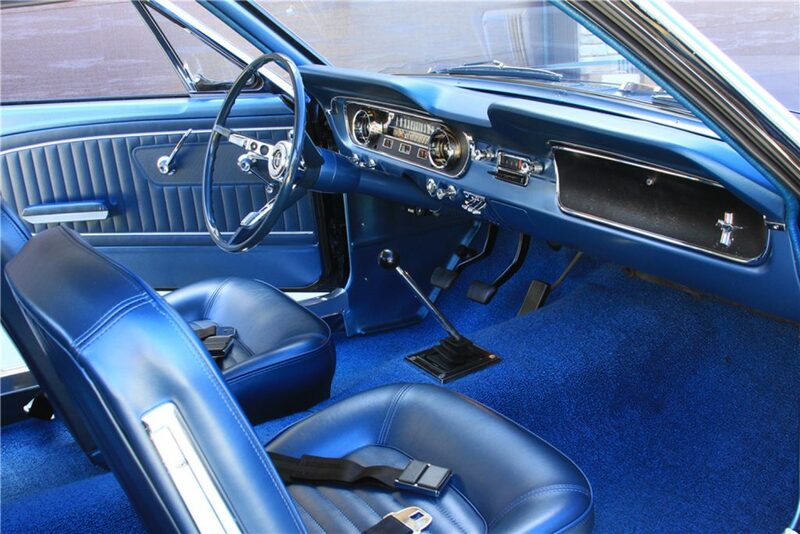 Fria had the car extensively restored to like new condition, and before that restoration, he had extensively researched the vehicle and discovered that the pre-production car featured about 50 differences between it and the production 1964 Mustang hardtops that hit showrooms. Most of the research that Fria collected before restoring the car was included with the sale reports the ClassicCars.com Journal. This car has also been used in the upcoming feature-length film titled Ford v. Ferrari that chronicles the fight between Ford and Ferrari for the Le Mans victory in 1966, starring Matt Damon and Christian Bale, set to debut this summer. 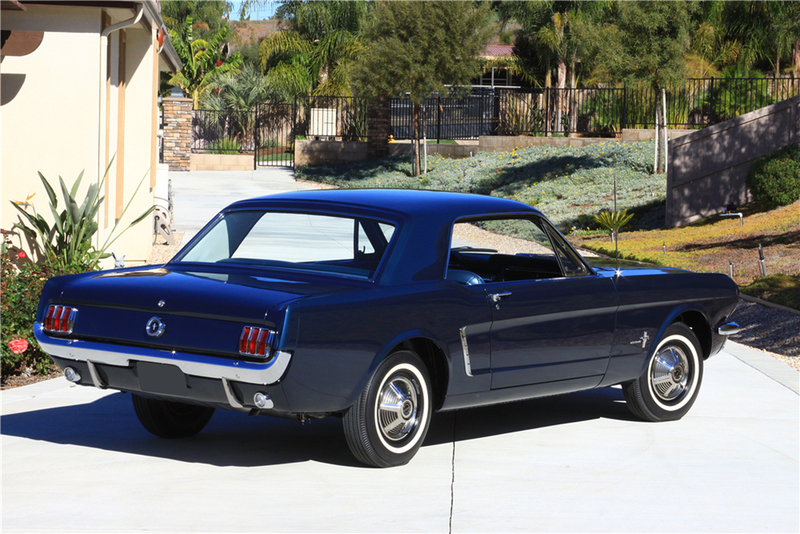 The price this 1964 Ford Mustang hardtop sold for pales in comparison to the $385,000 that a 1969 Mustang Boss 429 sold for at the Barrett-Jackson auction in 2017. One of the biggest money makers for the auction this year was Ford GT VIN 001 that racked up $2.5 million for charity.